Stations 56 and 44 were dispatched to a fully involved vehicle fire in the parking lot of 1760 Easton Avenue. Car 562 and Engine 562 arrived and extinguished the fire. Crews from Rescue 56 and Engine 441 assisted with overhaul. HazMat 26 was also requested to mitigate the run-off water. 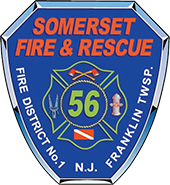 Somerset Fire and Elizabeth Ave fire were dispatched to a car fire in front of the Econo-Lodge hotel at 1830 Easton Ave. Engine 562 arrived and found a passenger vehicle on fire in the parking lot. Engine 562, Rescue 56 and Engine 261 extinguished the fire without incident. The crews remained on the scene for approximately 30 minutes.